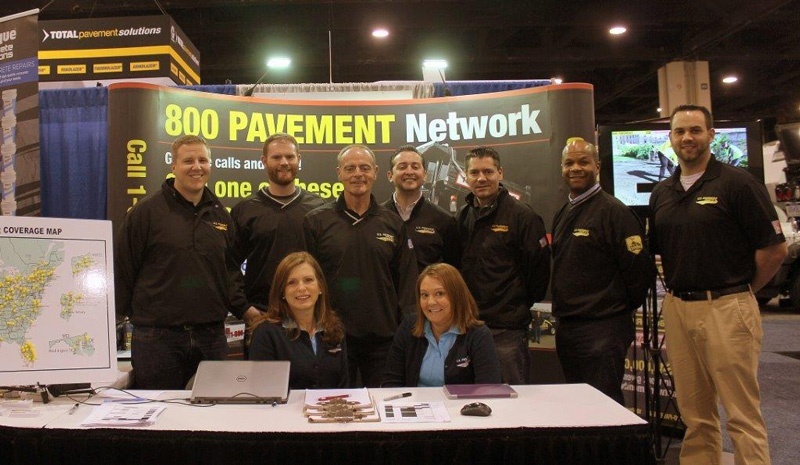 At this year’s National Pavement Expo (NPE) held in Charlotte, NC, U.S. Pavement Services, Inc. received the #1 Contractor of the Year award from Pavement Maintenance and Reconstruction magazine. 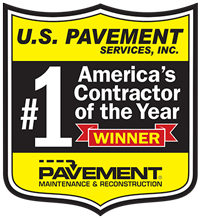 CEO Mike Musto accepted the coveted award and the company was singled out as the top paving and pavement maintenance contractor from a field of nearly twenty thousand eligible contractors nationally. 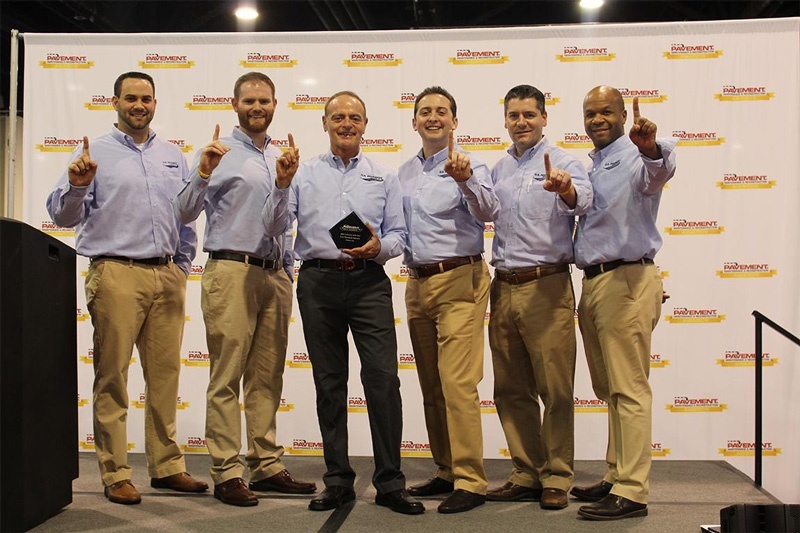 After more than thirty years in the business, awards are nice but not lost in the excitement is the company’s core values which include a continued commitment to Made in America products and services, support for veterans and their families and our pledge to hire veterans initiatives. 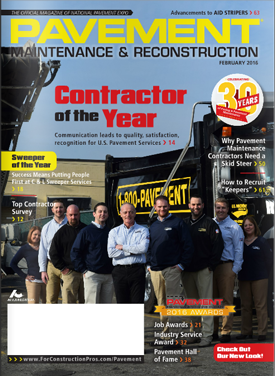 There’s more about U.S. Pavement Services and the #1 Contractor of the Year award in the February edition of Pavement Maintenance and Reconstruction magazine which can be read here>>.